We are a leading Manufacturer of industrial transformer choke enclosure, transformer choke enclosure and electrical transformer choke enclosure from Pune, India. 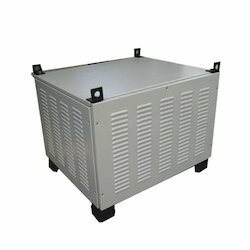 We are counted amongst the recognized organization offering of premium quality of Industrial Transformer Choke Enclosure. Known for the sturdy construction, attractive appearance and superior finish, the provided enclosure is high in demand by factories and manufacturing organizations. Under the strict vigilance of our adept professionals, this enclosure is designed and manufactured with the utilization of supreme quality steel and iron. Additionally, our valued patrons can avail the offered enclosure from us at the most affordable rates. Our firm has gained continuous appreciation as the prime organization offering of Transformer Choke Enclosure. Under the surveillance of our diligent professionals, the offered enclosure is designed and manufactured using quality approved steel with the help of pioneering techniques. Obtainable in various designs, this enclosure is extensively demanded in industrial sectors. These enclosures are manufactured and designed according to IEC 529 and BC5490 standards and can provide protection up to IP 55-67. Further, the provided enclosure can be availed from us at the best market rates. Width 300 mm ~2000 mm in pitch of 100 mm. Depth 300 mm ~ 1500 mm in pitch of 50 mm. The Electrical Transformer Choke Enclosure is manufactured in various sizes as per transformers size. 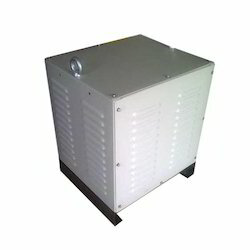 These Transformer Choke Enclosure can be manufactured as per given specifications. frame structure in 3.00 thick. Sides can be covered with covers with punched ventilation lovers. The canopy can be mounted on top. It can be manufactured in GI sheets or stainless steel sheet for outdoor use. 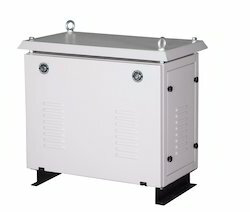 Looking for Transformer Choke Enclosure ?